Has anyone heard of the new Reddit* phenomenon "Roast Me"? 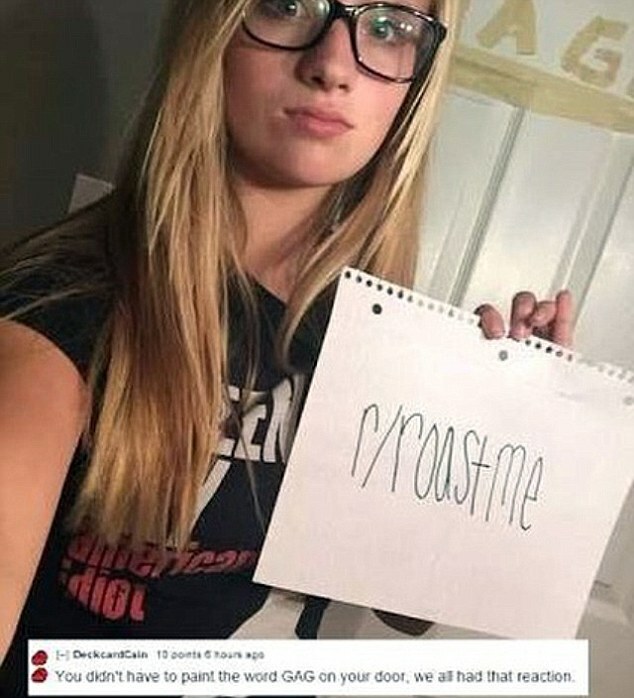 It's where young people post a photo of themselves holding a peice of paper with Roast me written on it and then members post insults and the most liked one wins. Nothing is off limits. They go straight for anything that might be an achilles heel and if there's nothing obvious then they go for anything! Exactly the sort of bullying we've become familiar with on the internet. Is this empowering for young people? Is it funny? Is it heartbreaking? If your teenager did this, and showed you, what would you say? *Reddit is a huge community of people who post topics and reply to those topics. Just like here but with millions of people. Keen to hear what you guys think about this. @Maggiemay I know we've discussed bullying in the past what do you think? This is the very kind of culture that encourages self loathing! Awful - even worthy of a anti-campaign don't you think?! I agree @taziness this is awful. I looked on the Reddit site and when you see them one after the other it actually gets really depressing. All these poor kids asking to be insulted. I honestly can't see what the appeal is. The insults aren't even very funny. Although I'm one of those people who hate it when comedians start picking on people in the audience. So maybe I'm not built right for this. Any ideas on how that could happen? How about a 'news' article to be circulated highlighting the negative effects of this type of thinking? Do you want to start a topic on this? Then you could get some feedback on what people have done in the past that has worked. Or where they think you could get some traction with this type of thing. You just click here then click on start a topic. It's that simple. I can see where the Roast Me idea comes from. In our family and friends we joke around, we have ongoing jokes, and tell people that we only pick on people we like......we are strictly polite to people outside the family/group. But it is one thing to joke around within a safe loving small group, and something entirely different to ask total strangers to roast you. For teens in particular it seems particularly dangerous, as they may well believe what total strangers think of them. Kind of like all your innermost insecurities (and ones you weren't aware of) put out there for everyone to see and comment on. It seems like a very dangerous thing and could be very damaging to young people's sense of identity. Also it seems as if it would perpetuate the perfectionist ideals (to be thin and beautiful etc) which put young people under such pressure already. This can contribute to eating disorders, and I guess a whole host of other mental health issues. We are a family of teasers too @Elena, my eldest made it clear to her new partenr on meeting us all that he had to be funny to fit in. But as I'm sure it is in your family too, we definitely steer clear of anything that would really hurt feelings. Which is what I dislike so much about the Roast Me thing. Where it seems the goal is to hit them where it hurts. And although there are good looking people asking to be roasted and they get insulted too, there is a tendency for the less than perfect individuals to have their looks attacked.